Filling positions that demand skill sets in short supply is vexing. Especially because many of these roles didn’t exist a decade ago, it’s critical for recruiters to take a fresh approach. 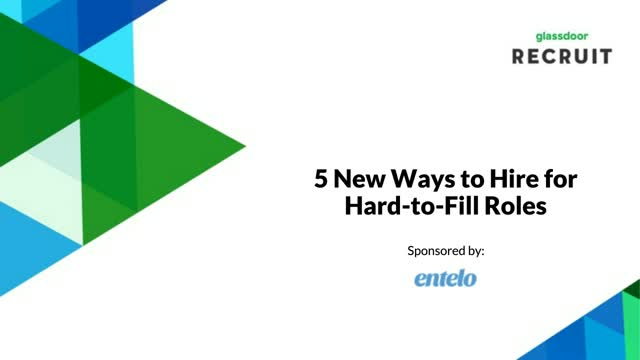 In our upcoming webinar, Glassdoor’s Global Head of Talent Acquisition, Julie Coucoules, and Entelo’s Head of Recruiting, Loni Brown, will cover strategies that combine traditional recruiting techniques with new tools to help you quickly find the right people for your toughest roles.